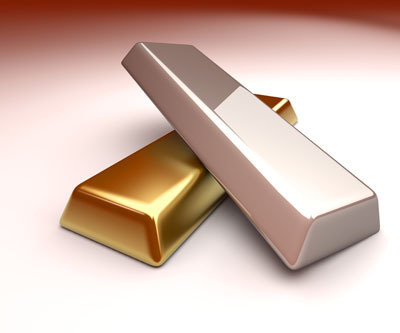 Has JP Morgan placed a massive bet on physical gold and silver? A bullion insider claims JP Morgan is accumulating huge volumes of physical gold and silver despite short positions against the precious metals on paper. According to Silver Doctors renowned analyst Ted Butler alleges JP Morgan's major reported short positions on the precious metal are held on behalf of a key government client – either the Federal Reserve of the Chinese, and that the storied financial institution is actually long on gold and silver bullion. Metals investment guru Jim Sinclair further asserts that the bank's short positions on paper for the precious metals would serve to facilitate their own furtive accumulation of bullion by dragging down prices. Silver Doctors substantiates these speculations by citing an industry insider who claims to have overseen the movement of 27 million ounces of gold from HSBC vaults into JP Morgan's possession. According to the confidential source JP Morgan's paper short position is a hedged trade offsetting the bank's amassing of vast amounts of gold and silver billion in its own private vaults, enabling it to reap immense profits which though ethically dubious remain perfectly legal. They buy the physical silver at the same time they sell the future (on Comex) futures trade in contango (higher price than spot physical) they get zero interest rate cash from FED so borrow the money for free, they own the vaults to store the silver…. so as the future comes to maturity they can either settle against their physical long or roll the future to collect more free contango…. This is pure arbitrage paid for by the FED. This has been going on for over 30 years and why shouldn’t they be allowed to have 25% of the Open Interest? There is no manipulation because they are short the futures and long the physical and have “ZERO” price risk, but nice profits! It’s brilliant trading and completely 100% legal and that’s why they will never be charged with manipulation because there is none going on. Sometimes it’s just that easy!